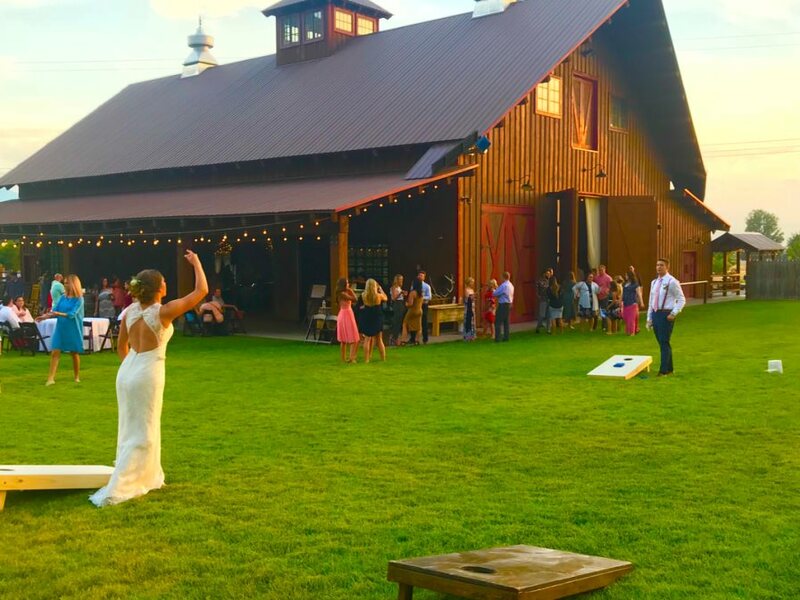 Quiet Meadow Farm features a Large Rustic Barn is a little patch of heaven that is perfect for your wedding or reception. The place is absolutely stunning ... Amazing! 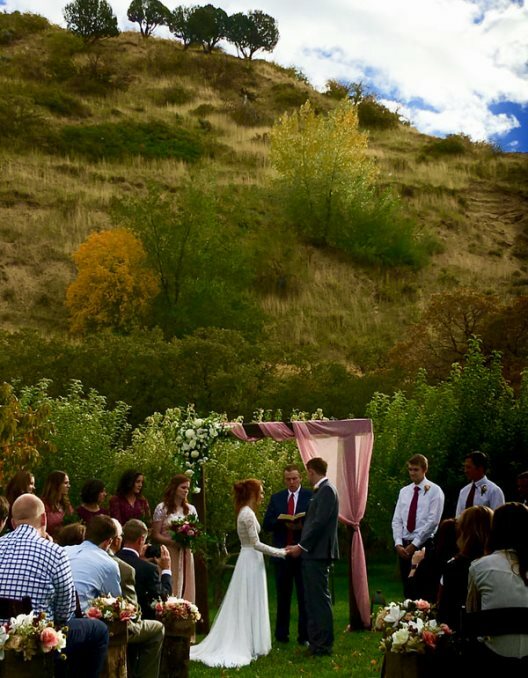 Our reception at Quiet Meadow Farm was an incredible experience start to finish. 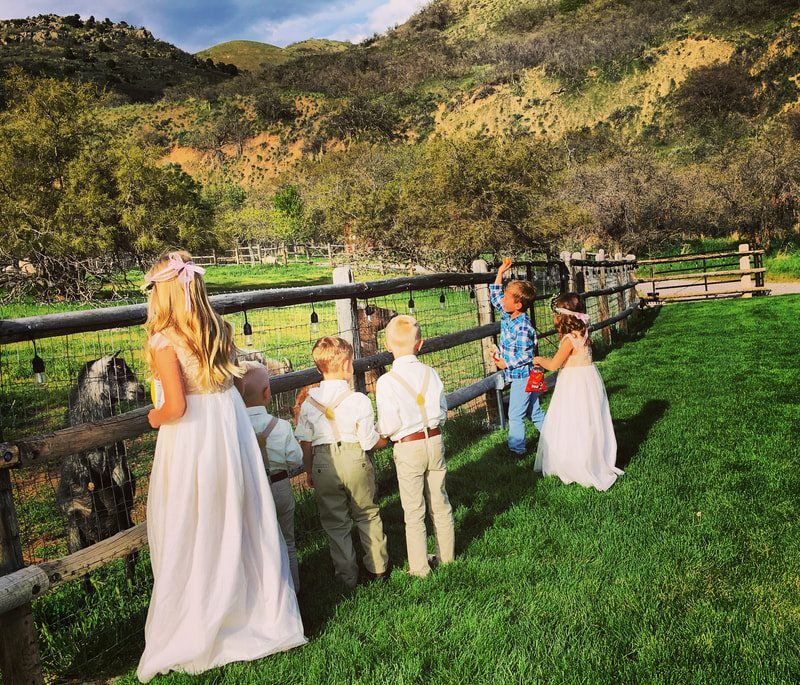 Quiet Meadow Farm is The Perfect Wedding Venue! You will be amazed!! We are very happy to have had the opportunity to be married at Quiet Meadow Farm. 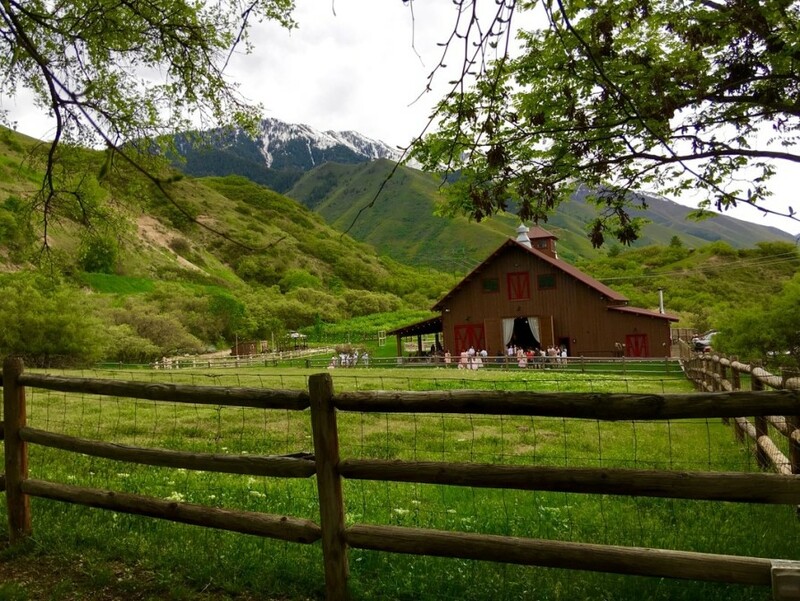 Get A FREE Brochure from "Quiet Meadow Farm"
Located in Mapleton, Utah – just 12 minutes southeast of Provo. 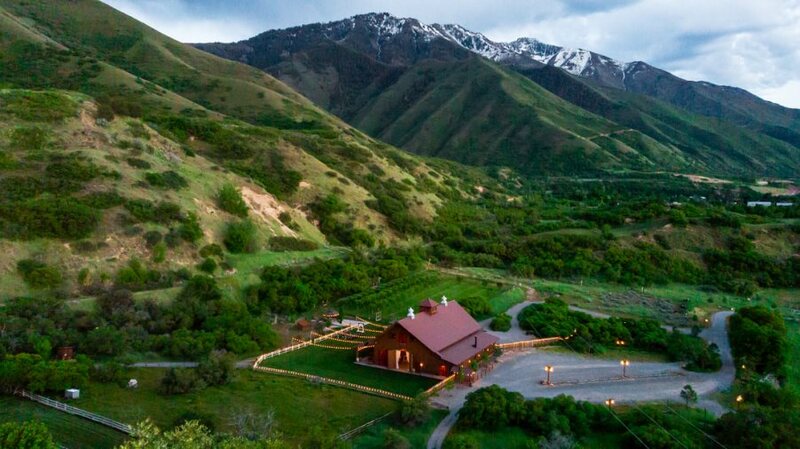 Quiet Meadow Farm features a working farm, with secluded beauty in every direction. Animals graze the nearby fields many months of the year. A little patch of heaven that is perfect for your wedding or reception. Here at Quiet Meadow Farm we allow you to use outside vendors, caterers, and/or provide your own food. See our list of preferred vendors for recommendations. 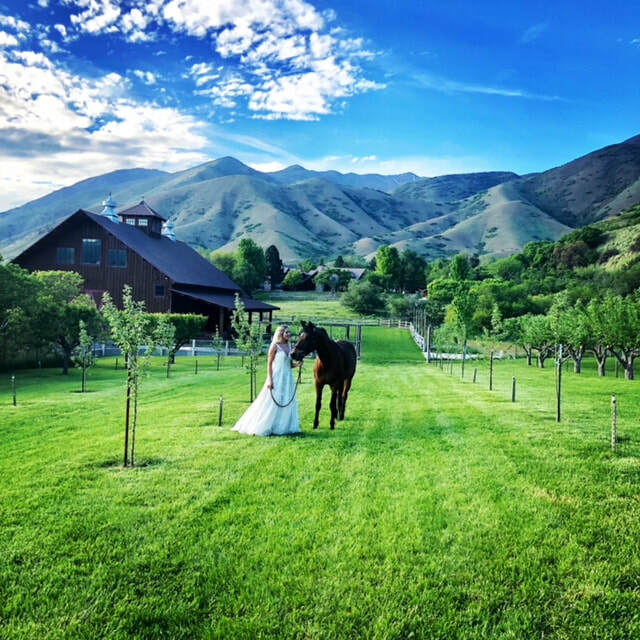 Please mention Salt Lake Bride when you contact Quiet Meadow Farm! My daughters wedding was held at Quiet Meadow Farms on 8.18.18. She was engaged in July of 2017 and we secured the venue within weeks knowing that it would be a high demand weekend. From the beginning to the very end our experience was amazing. Lori and Heather were absolutely fantastic to work with. This venue has everything! From decor, tables, chairs, linens and the scenery! My daughters wedding day was perfect. I asked her if she was getting everything she wanted for her wedding. 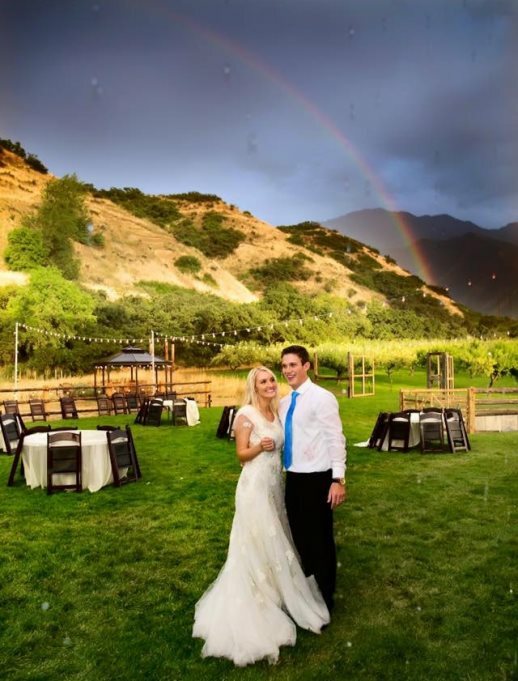 She responded, “I’m getting everything I dreamed of and more than I even knew I wanted.” We used their recommendations of caterer and DJ, which both were wonderful. As soon as I saw this venue online, I was in love. Unfortunately they were closed for the winter, but I called anyway to ask about availability. They made accommodations for me to still be able to have my wedding reception here even though that meant they had to speed up their renovation process. The place is absolutely stunning, you aren't going to find a dreamy-er place. It stole my heart. Even though I was a challenge to work with (constantly changing my mind about various things) they were always patient and honestly made every single wish come true. I can't say enough about the quality of this place and the quality of the relationship I had with Lori and everyone I worked with. Amazing place. some doors open, while keeping the guests warm. I can't say enough about Lori. She was at the barn as our designer came to set up, and Lori stayed throughout the day and night. We had the dream team. These amazing women worked together to create a vision and an event that was over the top. By the end of the night I was looking for land to purchase near Quiet Meadow Farm. I felt like I had a new best friend. If you are considering Quiet Meadow Farm, don't hesitate. There is tremendous value in their offering. The amenities and access are unique and will take your event over the top. 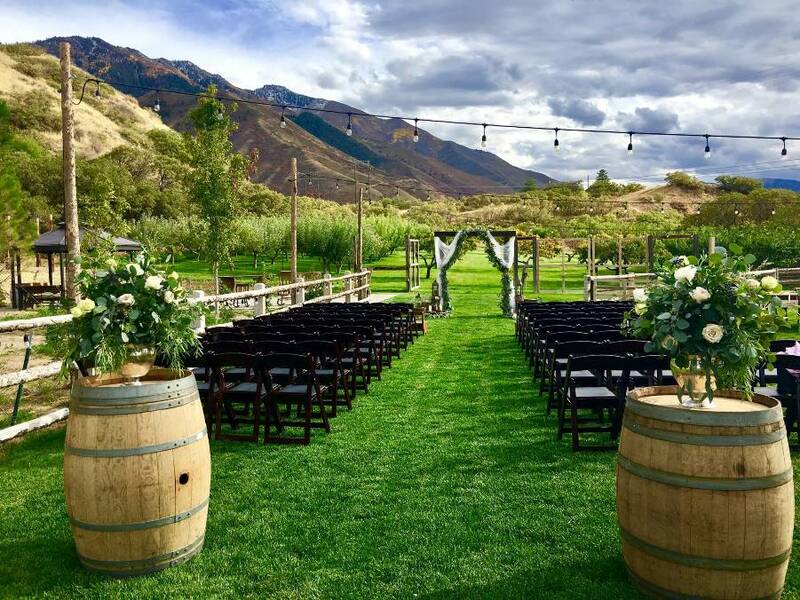 The Perfect Venue for The Perfect Wedding! Book Today! Don't Delay! What a Cute Happy Place for that Perfect Day. From the time you enter the gates you are greeted with charm everywhere. The lighted lanterns on the post and the smell of fresh air and green lawns and beautiful mountains that set the backdrop. On the 8th of April nothing but rain, but a half an hour before the wedding the sun came out. It was the Brides wish to have an outdoor wedding within seconds it was set up, all outside. The Barn was welcoming with an old rustic feel, and it made everyone feel warm and comfortable. 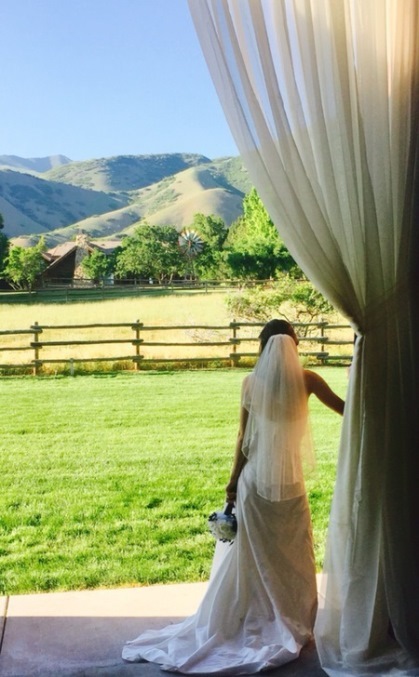 Nothing was prettier than the bride cascading over the beautiful green grass the pictures are amazing. 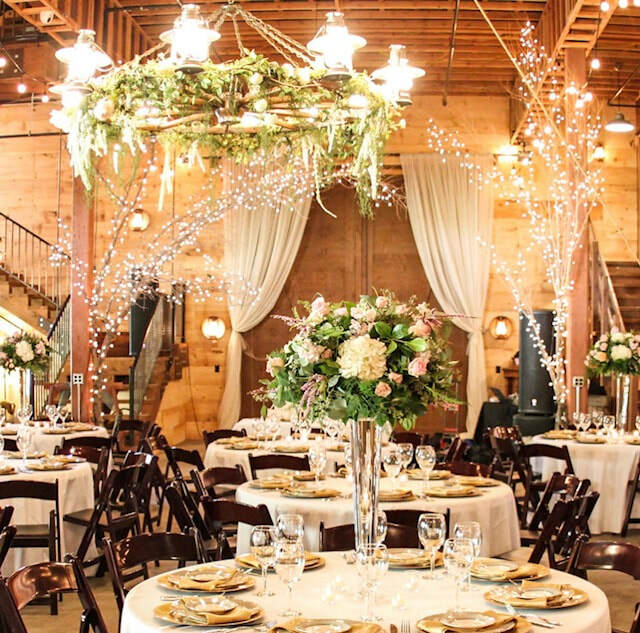 Everything was set up just perfectly, and the barn had plenty of room for dining and dancing. Lori was more than accommodating, and was very detailed oriented. I highly recommend this venue to all those Brides that are looking for the perfect venue for their perfect day. See this one first. You will be amazed!! We had our wedding at Quiet Meadow Farms in January. 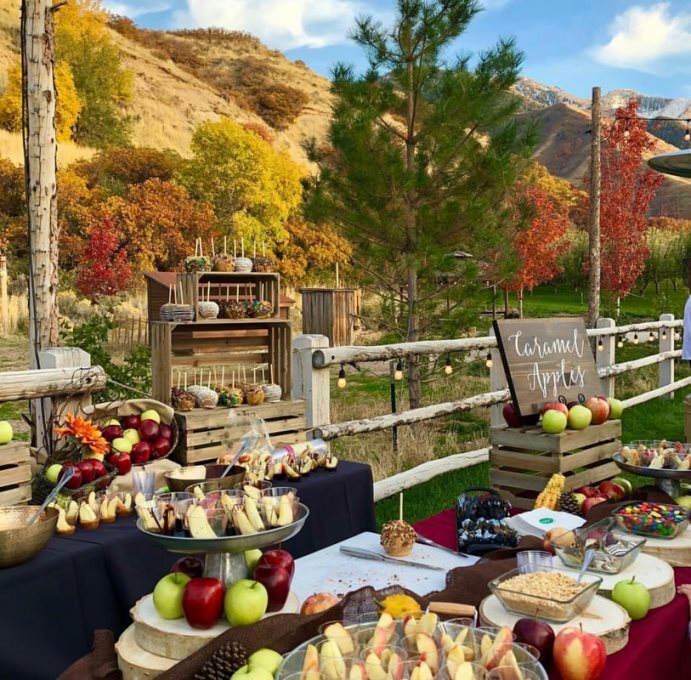 We had been searching for a rustic setting that allowed us to cater our own food, as all the other options we had found in Salt Lake City and surrounding were restaurants and had restrictions. We were so happy we expanded our search to include Mapleton in order to find the venue that was a perfect match for our vegan values by not only being an ethical farm (instead of a working one, so their animals were cherished as pets instead of slaves), but also allowing us to provide our own food instead of choosing meager options from a meat-heavy menu as we would have been forced to do at a restaurant. 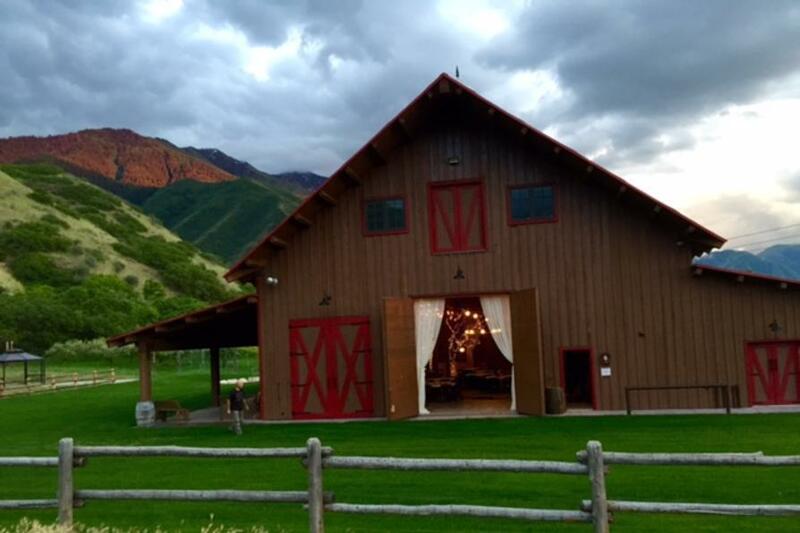 Quiet Meadow Farms was an absolutely beautiful venue for both our ceremony and reception that impressed all of our wedding guests.